Sailing on a beautiful three-mast schooner! The Nil Desperandum (do not dispair, Lat.) 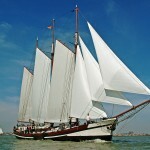 is a magnificent119 year old three-mast schooner. Built in 1894 as a ‘clipper’, it was mainly used to transport goods across the lakes, coastal waters, canals and rivers. The goods were carried in bulk, such as potatoes, turf or coal. Because of the growing importance of road transport (after WW II), many ships were doomed to the scrap-yard and most of the once gigantic fleet are lost now forever. 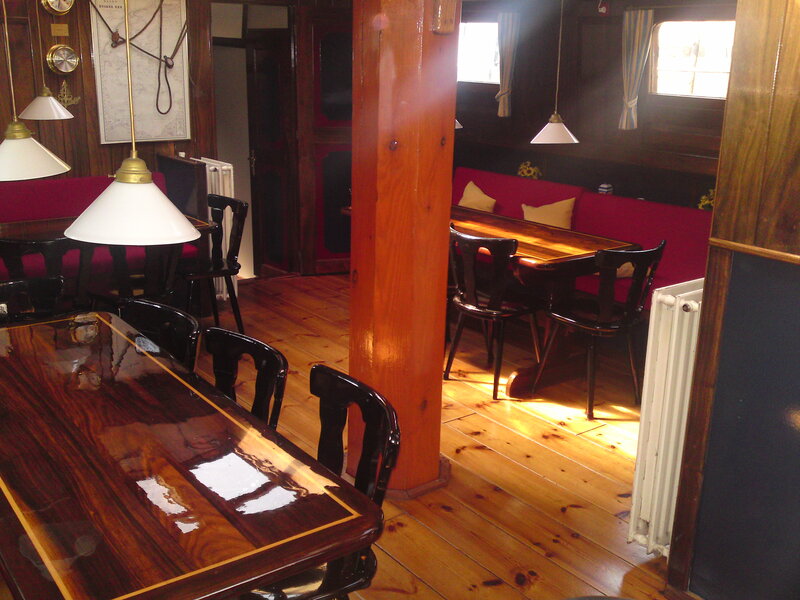 During the past thirty years many of the left over hulls were rediscovered and renovated. Some were restored to their original beauty and can be admired in museum harbours (for instance in Amsterdam). 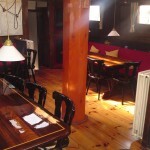 Many, however, were turned into comfortable, environmentally friendly means of transporting paying guests. 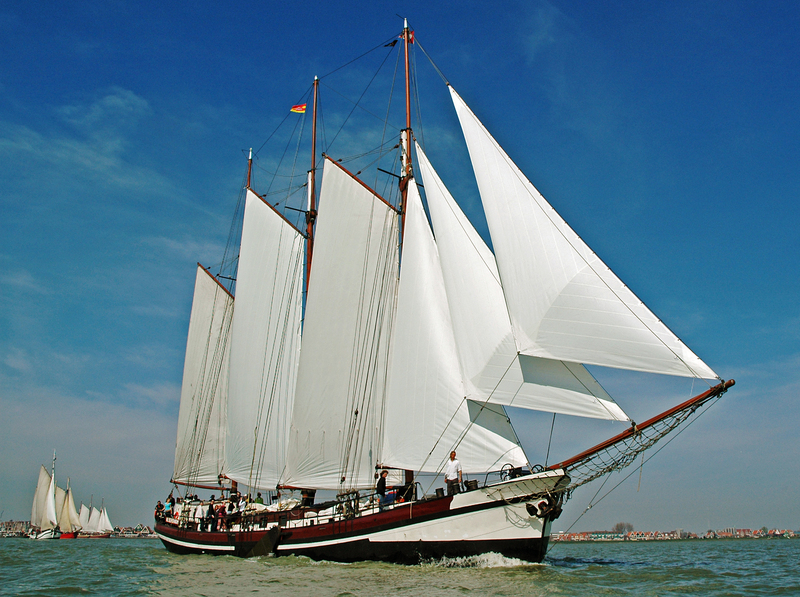 Old times are revived and once again these gracious ships adorn the Dutch waters, carrying on the tradition of the Netherlands as a sailing nation. 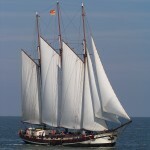 Around 1990, the Nil Desperandum joined the fleet as it was renovated into a luxurious sailing ship. 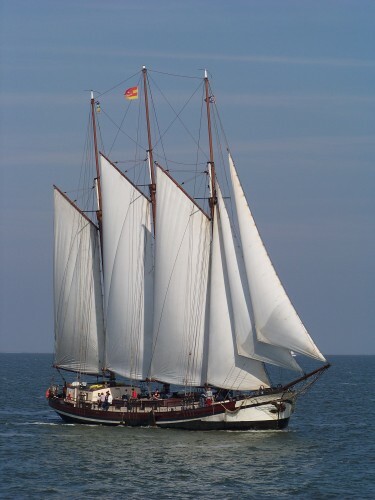 From early spring, until late in autumn it can be admired as it carries passengers who have felt the need for a comfortable mix of activity and relaxation, which is sailing on a Dutch traditional barge.